Learn about basic Active directory functionality. Happy learning!!! Forest-wide searches. The global catalog provides a resource for searching an AD DS forest. Forest-wide searches are identified by the LDAP port that they use. If the search query uses port 3268, the query is sent to a global catalog server. User logon. In a forest that has more than one domain, two conditions require the global catalog during user authentication: Universal Group Membership Caching: In a forest that has more than one domain, in sites that have domain users but no global catalog server, Universal Group Membership Caching can be used to enable caching of logon credentials so that the global catalog does not have to be contacted for subsequent user logons. This feature eliminates the need to retrieve universal group memberships across a WAN link from a global catalog server in a different site. What are the components of Logical AD? 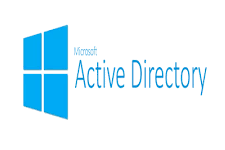 The logical parts of Active Directory include forests, trees, domains, OUs and global catalogs. Domain –It is still a logical group of users and computers that share the characteristics of centralized security and administration. A domain is still a boundary for security – this means that an administrator of a domain is an administrator for only that domain, and no others, by default. Tree – a tree is a collection of Active Directory domains that share a contiguous namespace. Forest – a forest is the largest unit in Active Directory and is a collection of trees that share a common Schema. In a forest all trees are connected by transitive two-way trust relationships, thus allowing users in any tree access to resources in another for which they have been given appropriate permissions and rights. By default the first domain created in a forest is referred to as the root domain. What are the different Partition in AD and explain all? Each partition is a unit of replication, and each partition has its own replication topology. Replication occurs between replicas of directory partition. Minimum two directory partitions are common among all domain controllers in the same forest: the schema and configuration partitions. All domain controllers which are in the same domain, in addition, share a common domain partition. Only one schema partition exists per forest. The schema partition is stored on all domain controllers in a forest. The schema partition contains definitions of all objects and attributes that you can create in the directory, and the rules for creating and manipulating them. Schema information is replicated to all domain controllers in the attribute definitions. Many domain partitions can exist per forest. Domain partitions are stored on each domain controller in a given domain. A domain partition contains information about users, groups, computers and organizational units. The domain partition is replicated to all domain controllers of that domain. All objects in every domain partition in a forest are stored in the global catalog with only a subset of their attribute values. Application partitions store information about application in Active Directory. Each application determines how it stores, categorizes, and uses application specific information. To prevent unnecessary replication to specific application partitions, you can designate which domain controllers in a forest host specific application partitions. Unlike a domain partitions, an application partition cannot store security principal objects, such as user accounts. In addition, the data in an application partition is not stored in the global catalog. DomainDNSZones is unique for each domain. All domain controllers that are DNS servers in that domain receive a replica of this partition. The application partitions store the domain DNS zone in the DomainDNSZones<domain name>. Different types of Disk partition? How many types of RAID and explain any 3 advantage and disadvantage? RAID, an acronym of Redundant Array of Independent (Inexpensive) Disks is the talk of the day. These are an array of disk to give more power, performance, fault tolerance and accessibility to the data, as a single storage system. It’s not mere combination of disks but all the disks are combined providing standard MTBF (mean time before failure) reliability scheme; otherwise chances are performance would be affected drastically if disks are not combined as a single storage unit. It is the Stripped Disk Array with no fault tolerance and it requires at least 2 drives to be implemented. Due to no redundancy feature, RAID 0 is considered to be the lowest ranked RAID level. Striped data mapping technique is implemented for high performance at low cost. The I/O performance is also improved as it is loaded across many channels. Regeneration, Rebuilding and functional redundancy are some salient features of RAID 0. It is the Mirroring (Shadowing) Array meant to provide high performance. RAID 1 controller is able to perform 2 separate parallel reads or writes per mirrored pair. It also requires at least 2 drives to implement a non-redundant disk array. High level of availability, access and reliability can be achieved by entry-level RAID 1 array. With full redundancy feature available, need of readability is almost negligible. Controller configurations and storage subsystem design is the easiest and simplest amongst all RAID levels. It is the RAID array providing high data transference performance with at least 4 disks needed to implement the RAID 0+1 level. It’s a unique combination of stripping and mirroring with all the best features of RAID 0 and RAID 1 included such as fast data access and fault tolerance at single drive level. The multiple stripe segments have added high I/O rates to the RAID performance and it is the best solution for maximum reliability. It is the combination of Inherently Parallel Mapping and Protection RAID array. It’s also known as ECC RAID because each data word bit is written to data disk which is verified for correct data or correct disk error when the RAID disk is read. Due to special disk features required, RAID 2 is not very popular among the corporate data storage masses, despite the extremely high data transference rates. RAID 3 works on the Parallel Transfer with Parity technique. The least number of disks required to implement the RAID array is 3 disks. In the RAID 3, data blocks are striped and written on data drives and then the stripe parity is generated, saved and afterwards used to verify the disk reads. Read and write data transfer rate is very high in RAID 3 array and disk failure causes insignificant effects on the overall performance of the RAID. RAID 4 requires a minimum of 3 drives to be implemented. It is composed of independent disks with shared parity to protect the data. Data transaction rate for Read is exceptionally high and highly aggregated. Similarly, the low ratio of parity disks to data disks indicates high efficiency. RAIDS 5 is Independent Distributed parity block of data disks with a minimum requirement of at least 3 drives to be implemented and N-1 array capacity. It helps in reducing the write inherence found in RAID 4. RAID 5 array offers highest data transaction Read rate, medium data transaction Write rate and good cumulative transfer rate. RAIDS 6 is Independent Data Disk array with Independent Distributed parity. It is known to be an extension of RAID level 5 with extra fault tolerance and distributed parity scheme added. RAID 6 is the best available RAID array for mission critical applications and data storage needs, though the controller design is very complex and overheads are extremely high. RAID 7 is the Optimized Asynchrony array for high I/O and data transfer rates and is considered to be the most manageable RAID controller available. The overall write performance is also known to be 50% to 90% better and improved than the single spindle array levels with no extra data transference required for parity handling. RAID 7 is registered as a standard trademark of Storage Computer Corporation. RAID 10 is classified as the futuristic RAID controller with extremely high Reliability and performance embedded in a single RAID controller. The minimum requirement to form a RAID level 10 controller is 4 data disks. The implementation of RAID 10 is based on a striped array of RAID 1 array segments, with almost the same fault tolerance level as RAID 1. RAID 10 controllers and arrays are suitable for uncompromising availability and extremely high throughput required systems and environment. With all the significant RAID levels discussed here briefly, another important point to add is that whichever level of RAID is used regular and consistent data backup maintenance using tape storage is must as the regular tape storage is best media to recover from lost data scene. How to find which server hold which role? How we can replication monitoring? How we can diagnosis any issue related to ad replication? What is intersite and Intra site replication explain? What is Authoritative and Non authorities restoration? Note: If you use Active Directory-integrated DNS, then the zone data is backed up as part of the Active Directory database. If you do not use Active Directory-integrated DNS, you must explicitly back up the zone files. However, if you back up the system disk along with the system state, zone data is backed up as part of the system disk.If you installed Windows Clustering or Certificate Services on your domain controller, they are also backed up as part of system state. In Microsoft Windows Server 2003 R2, the default tombstone lifetime (TSL) value remains at 60 days. Note In Windows Server 2003 Service Pack 1, the default TSL value has increased from 60 days to 180 days. Lingering objects can occur if a domain controller does not replicate for an interval of time that is longer than the tombstone lifetime (TSL). The domain controller then reconnects to the replication topology. Objects that are deleted from the Active Directory directory service when the domain controller is offline can remain on the domain controller as lingering objects. What is the difference between 2003 and 2008? 2) The main difference between 2003 and 2008 is Virtualization, management. 2008 has more inbuilt components and updated third party drivers Microsoft introduces new feature with 2k8 that is Hyper-V Windows Server 2008 introduces Hyper-V (V for Virtualization) but only on 64bit versions. More and more companies are seeing this as a way of reducing hardware costs by running several ‘virtual’ servers on one physical machine. If you like this exciting technology, make sure that you buy an edition of Windows Server 2008 that includes Hyper-V, then launch the Server Manger, add Roles. 3) In Windows Server 2008, Microsoft is introducing new features and technologies, some of which were not available in Windows Server 2003 with Service Pack 1 (SP1), that will help to reduce the power consumption of server and client operating systems, minimize environmental byproducts, and increase server efficiency. 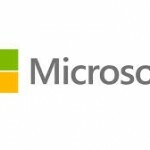 Microsoft Windows Server 2008 has been designed with energy efficiency in mind, to provide customers with ready and convenient access to a number of new power-saving features. It includes updated support for Advanced Configuration and Power Interface (ACPI) processor power management (PPM) features, including support for processor performance states (P-states) and processor idle sleep states on multiprocessor systems. These features simplify power management in Windows Server 2008 (WS08) and can be managed easily across servers and clients using Group Policies. What Is Strict Replication and How Do You Enable? What are the new feature of Win2008? How many flavours of Wink2k8? How you find the server hold DHCP? How to configure the DHCP server? If user are not getting IP from the DHCP servers what step you take to fix the issue? What is the process of user getting IP from DHCP Server? OFFER: DHCP Server will offers a scope of ip address available in the pool. REQUEST: In response to the offer, the Client will requests for an ip address. ACKNOWLEDGE:In response to the request, server will responds with all Ip address, Mask, Gty, Dns and wins info along with the acknowledgment packet. This DHCP message type is used by the DHCP client to discover DHCP servers. This DHCP message type is used by the DHCP server to respond to a received DHCPDISCOVER message and also offers configuration details at that time. This message comes from a client and to the DHCP server to convey three various messages. The first is to request configuration details from one specific DHCP server and specifically rejecting offers from any other potential DHCP servers. Secondly it can be used for verification of previously used IP address after a system has undergone a reboot. Lastly, it can be used to extend the lease of a specific IP address. How we can seize roles? How we can transfers roles from one DC to another? What is kerbores and its process? If the workstation is a certificate server, then the related data is also backed up. Many security and other disasters can be fixed by restoring System State to a good configuration. How you can take the backup of DC? Did you aware of ITIL Process? Expain the process in ITIL like Incident Managemnt, Change Management and Problem Mgmt? How you do the pactching? Did you know SCOM and its configuration? What is the ticketing tool used? How to upgrade the O/S? What are all the different mode of O/S? What are all the files contain AD Database? Windows 2000 Active Directory data store, the actual database file, is %SystemRoot%\ntds\NTDS.DIT. The ntds.dit file is the heart of Active Directory including user accounts. Active Directory’s database engine is the Extensible Storage Engine ( ESE ) which is based on the Jet database used by Exchange 5.5 and WINS. The ESE has the capability to grow to 16 terabytes which would be large enough for 10 million objects. Back to the real world. Only the Jet database can maniuplate information within the AD datastore. the types of objects that can be created in the Active Directory, relationships between them, and the optional and mandatory attributes on each type of object. This table is fairly static and much smaller than the data table. contains linked attributes, which contain values referring to other objects in the Active Directory. Take the MemberOf attribute on a user object. That attribute contains values that reference groups to which the user belongs. This is also far smaller than the data table. users, groups, application-specific data, and any other data stored in the Active Directory. The data table can be thought of as having rows where each row represents an instance of an object such as a user, and columns where each column represents an attribute in the schema such as GivenName. Any idea about virtualization technology? The purpose of virtual memory is to enlarge the address space, the set of addresses a program can utilize. For example, virtual memory might contain twice as many addresses as main memory. A program using all of virtual memory, therefore, would not be able to fit in main memory all at once. Nevertheless, the computer could execute such a program by copying into main memory those portions of the program needed at any given point during execution. To facilitate copying virtual memory into real memory, the operating system divides virtual memory into pages, each of which contains a fixed number of addresses. Each page is stored on a disk until it is needed. When the page is needed, the operating system copies it from disk to main memory, translating the virtual addresses into real addresses. Important port nos like FTP, Talnet, RDP and DNS? What is the difference between NTFS and share permissions? What is VSS? Are you aware of Volume shadow copy please expaing? Can we use a Linux DNS Sever in 2000 Domain? GPMC & RSOP in Active Directory? How to take DNS and WINS, DHCP backup ? What is the use of terminal services? And its mode How is Active Directory scalable? Active Directory uses multimaster replication to accomplish the synchronization of directory information. True multimaster replication can be contrasted with other directory services that use a master-slave approach to updates wherein all updates must be made to the master copy of the directory and then be replicated to the slave copies. This system is adequate for a directory that has a small number of copies and for an environment where all of the changes can be applied centrally. But this approach does not scale beyond small-sized organizations nor does it address the needs of decentralized organizations. With Active Directory, no one domain controller is the master. Instead, all domain controllers within a domain are equivalent. Changes can be made to any domain controller, unlike a single-master system, where changes must be made to one server. In the single-master system, the primary server replicates the updated information to all other directory servers in the domain. With multimaster replication, it is not necessary for every domain controller to replicate with every other domain controller. Instead, the system implements a robust set of connections that determines which domain controllers replicate to which other domain controllers to ensure that networks are not overloaded with replication traffic and that replication latency is not so long that it causes inconvenience to users. The set of connections through which changes are replicated to domain controllers in an enterprise is called the replication topology . Multimaster update capability provides high availability of write access to directory objects because several servers can contain writable copies of an object. Each domain controller in the domain can accept updates independently, without communicating with other domain controllers. The system resolves any conflicts in updates to a specific directory object. If updates cease and replication continues, all copies of an object eventually reach the same value. The manner in which a directory service stores information directly determines the performance and scalability of the directory service. Directory services must handle a large number of queries compared to the number of updates they must process. A typical ratio of queries to updates is 99:1. By creating multiple copies of the directory and keeping the copies consistent, the directory service can handle more queries per second. If one domain controller becomes inoperable, other domain controllers can continue to update the directory. In single-master replication, if the primary domain controller becomes inoperable, directory updates cannot take place. For example, if the failed server holds your password and your password has expired, you cannot reset your password and therefore you cannot log on to the domain. Servers that are capable of making changes to the directory, which in Windows 2000 are domain controllers, can be distributed across the network and can be located in multiple physical sites. Define each of the following names: DN, RDN, GUID, UPN. What is the primary reason for defining an OU? What is the difference between a site link and a connection object? First is the POST, this stands for Power On Self Test, for the computer. This process tests memory as well as a number of other subsystems. You can usually monitor this as it runs each test. After that is complete the system will run POST for any device that has a BIOS (Basic Input-Output System). An AGP has its own BIOS, as do some network cards and various other devices. Once the POST is complete and the BIOS is sure that everything is working properly, the BIOS will then attempt to read the MBR (Master Boot Record). This is the first sector of the first hard drive (called the Master or HD0). When the MBR takes over it means that Windows is now in control. Once XP is selected from the Boot Menu, NTLDR will run NTDETECT.COM, BOOT.INI and BOOTSECT.DOS to get the proper OS selected and loaded. The system starts in 16-bit real mode and then moves into 32-bit protected mode. NTLDR will then load NTOSKRNL.EXE and HAL.DLL. Effectively, these two files are windows XP. They must be located in %SystemRoot%System32. NTLDR reads the registry, chooses a hardware profile and authorizes device drivers, in that exact order. At this point NTOSKRNL.EXE takes over. It starts WINLOGON.EXE that in turn starts LSASS.EXE, this is the program that display the Logon screen so that you can logon. Which command use to create the application directory partition? What will we be the next action plan if we get a hardware alert? What will be the next action plan if a customer reports that a server is down? What is Loopback Group Policy? Ans:- Group Policy applies to the user or computer in a manner that depends on where both the user and the computer objects are located in Active Directory. However, in some cases, users may need policy applied to them based on the location of the computer object alone. You can use the Group Policy loopback feature to apply Group Policy Objects (GPOs) that depend only on which computer the user logs on to. TCP/UDP ports used in Windows? 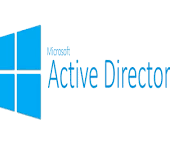 What’s new in Windows Server 2016 Active Directory? 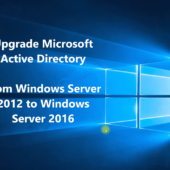 How to Migrate/Upgrade Active Directory from Server 2008/2012 to Windows Server 2016?